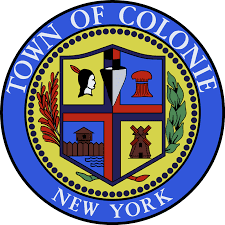 COLONIE – The preliminary, 2018 budget Supervisor Paula Mahan presented to the Town Board on Thursday, Oct. 5, increases general fund spending by about $1.8 million, or 2.07 percent, and increases taxes by about 1.79 percent, or 7 cents per $1,000 of assessed value. It will cost the owner of an average home with a fair market value of $220,000 about $10.10 more per year. When all funds – sewer and water – are included, the average tax increase for the same home is about $18.50 per year, said Chris Kelsey, the acting town comptroller. If approved by the Town Board, the total tax rate will be slightly more than $4 per $1,000 of assessed value. Spending for the Latham Water District, the town’s largest, is expected to increase from $13 million to about $13.4 million. Water rates will increase by about 1.3 percent, or 5 cents per 1,000 gallons to $3.50 per 1,000 gallons. It will cost the average homeowner $3.75 more per year. A public hearing before the Town Board is slated for Nov. 9. The Town Board can suggest changes to each line item the budget, but must accept or deny it as a whole by Nov. 20. If approved as is, or with little modification, it is the seventh consecutive year the town’s budget comes in under the state imposed tax cap. The projected revenue changes from this year to next include a 3.34 percent increase in tax collections, a 3.84 percent increase in fees for services and a 2.27 percent increase in fines, licenses and permits. The town is projecting a .17 percent decrease in sales tax and a .14 percent decrease in interest and use of property. On the expenditure side of the ledger, there is a projected 45 percent increase – from $100,000 to $145,000 – in the sewer/library reserves, a 5.5 percent increase for employee benefits, a 1.5 percent increase in debt service and a 1.2 percent increase in salaries. The town is projecting to spend 6.6 percent less on equipment. Employee benefits are slated to increase from $14.4 million to $15.2 million with police retirement jumping from $3 million to $3.2 million and health insurance from $5.1 million to $5.7 million. Kelsey said as the town workforce gets older, employees, logically, require more medical services which causes town insurance rates to increase. Salaries for town employees are slated to jump from $26.4 million in 2017 to $26.6 million in 2018. Only one of the town’s seven unions have a new contract in place. The largest departmental expense, by far, is the Police Department. 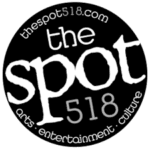 Spending there is slated to decrease slightly from $15.44 million in 2017 to a projected $15.37 million next year. There are 113 uniformed officers – from beat patrol to the chief – which is the most in recent memory. While the overall budget is dropping a bit, the chief is slated to get a raise from $126,833 to $129,292, and the two assistant chiefs will see a slight increase from $120,980 to $123,231. Each of the six lieutenants will see a bump from $114,831 to $119,153. The lieutenants are in a union, and there is currently a memorandum of understanding with the town for a new contract. Each of the 67 rank and file officers will see raises of about $820 per year in the 2018 budget. The Public Health Department, which includes Emergency Medical Services, will increase to $4.2 million in 2018 from $4.1 million this year. The Library is also included in the general fund, and without the infrastructure improvements, which will be rolled into the town’s debt service, spending to operate the library is projected to shrink by about $38,000 to just under $2 million. The town’s capital plan for other infrastructure improvements is also outside of the budget. Rather, the town bonds for capital improvements but only borrows about 11 percent of the maximum it is allowed to borrow. In 2018, the town is projecting to pay $2.1 million in debt service. Development has a hot button topic, but Kelsey said the state tax cap is a limit on the tax levy, or how much revenue the town can accumulate, so as new buildings come on the tax rolls that additional money lowers what everyone else will have to pay and doesn’t necessarily add to the town coffers.